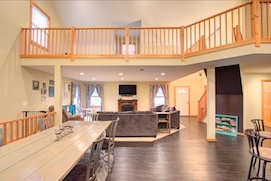 Welcome to a generous Cape Cod with three floors of living space! 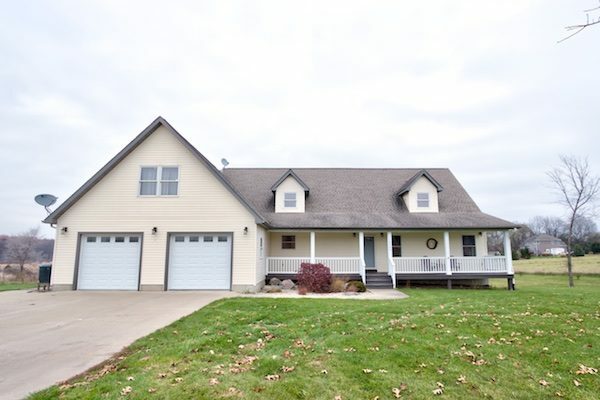 The open floor plan on the main level features vaulted ceilings, pine hardwood flooring, stainless steel kitchen appliances with tile back splash, and a four seasons room that overlooks 2.75 acres of the great outdoors. Out side enjoy an above ground pool, and a deck which reaches around to the fist floor master suite. The master suite includes a jetted bath and slate tile surround shower with a double vanity.There is a laundry room and powder room on the main level for added convenience. A pine stairway takes you to the second level with a cozy loft overlooking the main floor. Three additional bedrooms and full bathroom complete this upper level and offer so many options. The lower level is finished with slate tile throughout, second kitchen, full bath and bedroom as possible mother-in-law suite. Additional features in lower level include bonus room, bar, utility room with extra storage, and walkout to concrete patio. Electric and water run to insulated outbuilding which provides space for lawn equipment, workshop and more. Come and check out 10944 Waterloo-Munith in the Ann Arbor area real estate market! It has it all!